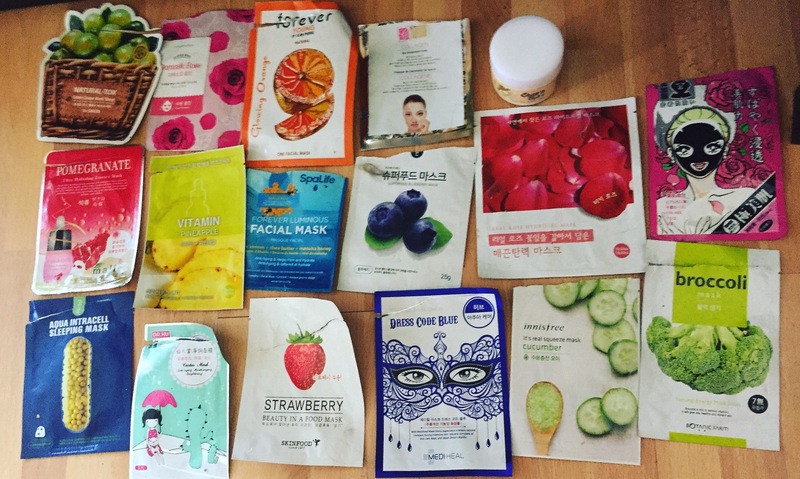 This post is way late, as I got wrapped up in the Beauteque Mask Marathon for a few weeks there and then I was traveling. Better late than never right? This post was not sponsored, but I will share my affiliate code ASHLEY10 with you to give you a 10% discount off your purchase! I used This mask after an eyebrow waxing to refresh my skin and soothe it. It didn’t smell like cucumber, and was highly soaked with lots of extra essence in package. The mask fits well and as I mentioned earlier about the kiwi mask, these masks are a good mask at a nice price point. The mask did soothe my irritated skin. While this actual mask is not available online anymore, I am linking to another great cactus mask. This mask was highly saturated, stayed moist for awhile and left my skin feeling much softer after use. The My Beauty Diary mask I am linking to is very similar. Sadly this mask didn’t smell like the juicy pineapple I was hoping for, but nevertheless the mask fit well and was soaked in essence. This mask claimed to revitalize skin after use, and my face definitely looked brighter after using. The mask stayed wet for awhile and fit well. This mask was super saturated with extra essence left in the package. The mask fit really well, and had the typical essence smell. My skin was super moisturized after I used it. This mask fit well and smelled slightly of strawberries. The mask had lots of essence and it didn’t have any claims on the packaging but my skin was softer after use. I am linking to a similar strawberry mask, that smells amazing and has wonderful results! This is the 3rd mask from this brand that I used this month, can you tell I am obsessed? The mask smells like normal essence, not broccoli. All the same greatness as the other masks I’ve listed above. My skin looked brighter after using this mask. Definitely will be repurchasing more of these! I was super excited for this mask and it did not disappoint! This mask was another one that was filled with pure rose heaven. It is highly scented with pieces of actual roses inside. This was a two piece mask, which made for a good fit. I like when hydrogels are two pieces, otherwise they sometimes get all twisted up and weird because of the material The mask was extremely soothing, I used on 95 degree day and when my sinuses were acting up. I can only imagine how soothing it would be if I had put it in the fridge. It can be a bit slippery if you move around a lot. The mask promised to revitalize and plump skin, and my skin was brighter after use. It’s a bit more pricey than your general sheet mask, but it’s worth it! Of all the printed/ character masks I’ve tried, this Mediheal one does a great job of actually being a good sheet mask while being really cute/pretty. The essence smelled nice, somewhere between clean and fruity. The mask was soaked well and was made of thinner cotton unlike most printed/character masks. It fit my face well and adhered nicely. This mask was really pretty and I loved wearing it. My skin looked refreshed and brighter after using this. I definitely recommend this mask, as it’s both fun and functional and also makes a cute little gift. I was a bit disappointed because it didn’t really smell like blueberry.This mask has wonderful packaging, holographic and very cool. It fit well and has lots of essence. It stayed wet for over 45 minutes and my skin was plumper after use. Another mask that’s not that easy to find online. This mask was a very typical mask designed for moisture with no bells and whistles. It had a slight fruity smell. I am linking to a better pomegranate mask. This smelled heavenly, as you may know I am obsessed with the smell of roses. The mask had the perfect amount of essence and fit well and adhered well. The mask cotton was the typical thickness and the intended result of the mask was moisture which this mask totally gave my skin. I would repurchase again just for how great it smells. “NOHJ Aqua Intracell Sleeping Mask will provide rich moisture and control excess sebum while it relaxes you with its soft, sandalwood scent! It will give your complexion a shield of protective moisture with the use of Lemon and Tomato extract, Aloe Vera Leaf and Green Tea extract, and other nutrient-rich ingredients. It’s clear cellulose tencel sheet will closely adhere to the face for maximum results! This mask had a nice, herbal smell. The tencel fabric was nice, and did adhere well as their site states. The mask is soaked in jelly like essence, and stayed wet for super long. The mask was great to use on a super hot day in Boston as it was super soothing. The sizing on this mask was bigger than usual sheet masks, so I think it will fit a variety of faces better. My skin was softer, brighter and hydrated after using. This mask was horrible! The only good thing was the smell. There was barely any essence, the mask material was so rough and ill fitting. That’s why I am linking to a way better mask at Beauteque. This mask smelled like grape now and laters which I love but the scent is strong. This was a thicker, textured mask and was saturated with the normal amount of essence. This mask is not that easy to find online, so I am linking to another great grape mask. This mask was dripping with essence, although it kind of had a weird smell. The mask was extremely soaked but had a somewhat odd fit and the mouth hole was super small. I am recommending this mask which is way better. 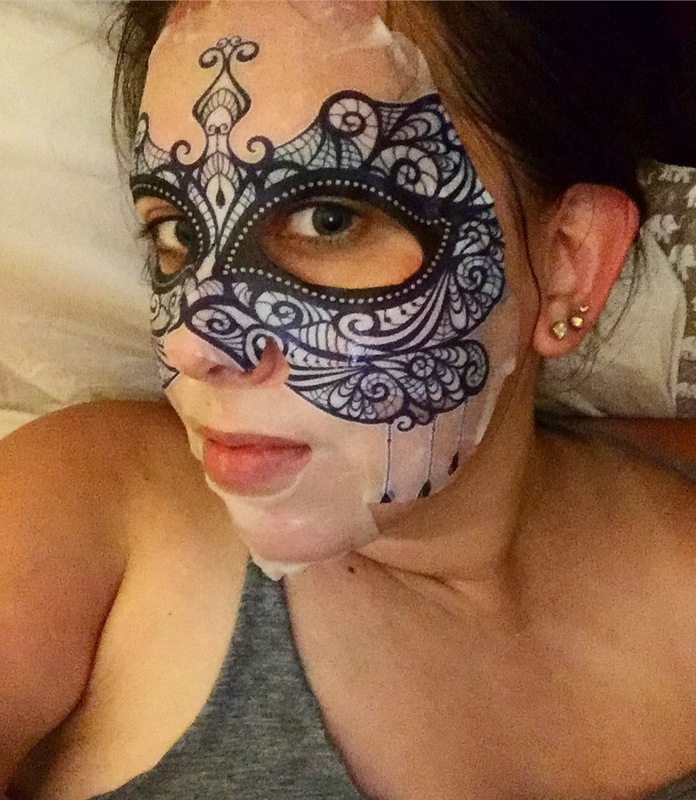 I am linking to a mask that’s very, very similar since this one isn’t easy to find online. This mask smelled more like honeysuckle or floral than honey. This mask was made of a thicker cotton and saturated well. This mask was intended to tighten this skin, and my face did feel firmer after use. My favorite. It’s cute, smells great like bananas, and leaves my face super soft in the morning. Highly recommend this one! Another one in adorable packaging. It smells faintly of bubble tea, and even has little boba at the bottom which you pop in your hands for additional moisturizer. I picked these up at Marshalls, but I have found this one from Beauteque is very similar. I used this mask after a blue lipstick stained my lips and I really had to scrub it off. It was soothing, but the only downside is you have to stay pretty still because they slide off your face easily at times.